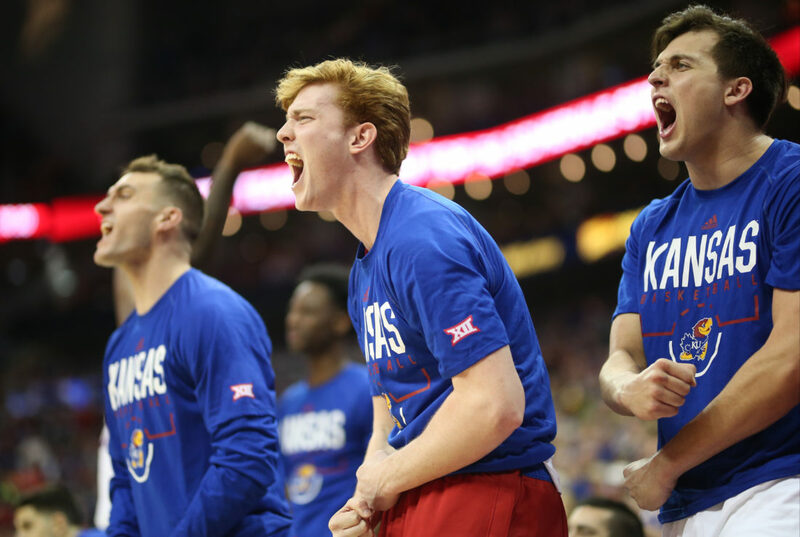 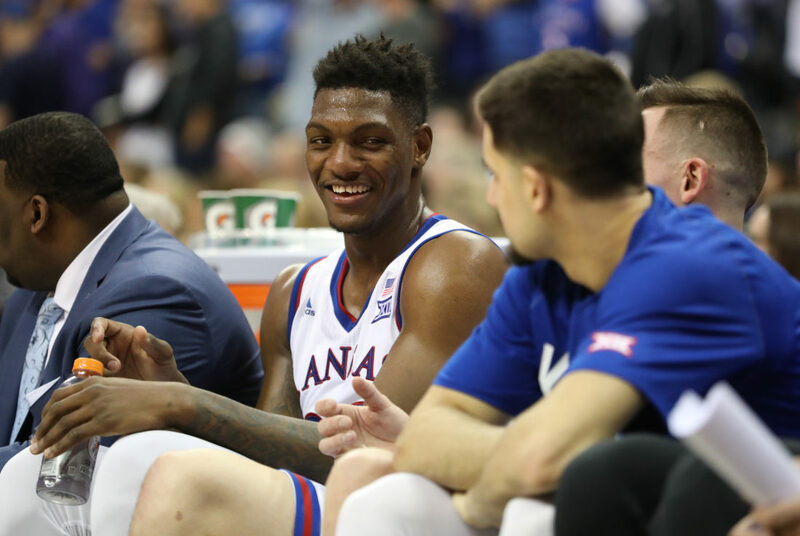 View a gallery of images from the Jayhawks’ quarterfinal matchup in the Big 12 Tournament against the Cowboys. 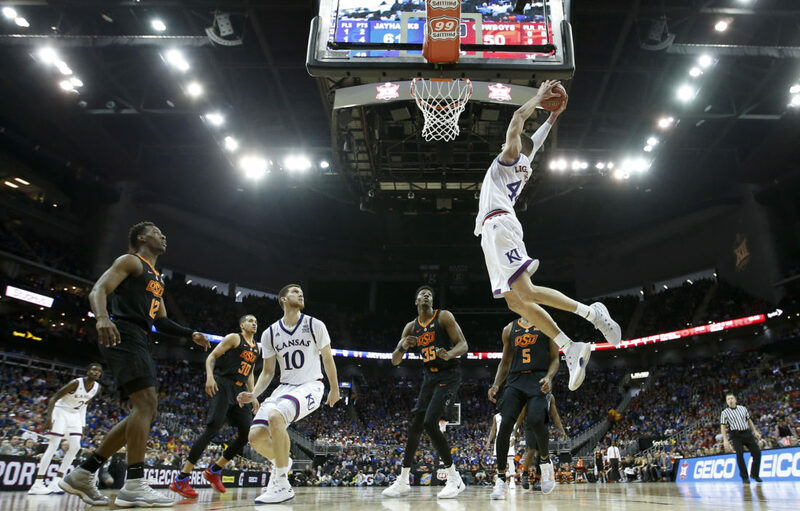 Kansas forward Mitch Lightfoot (44) soars in for a lob jam against Oklahoma State during the second half, Thursday, March 8, 2018 at Sprint Center in Kansas City, Mo. 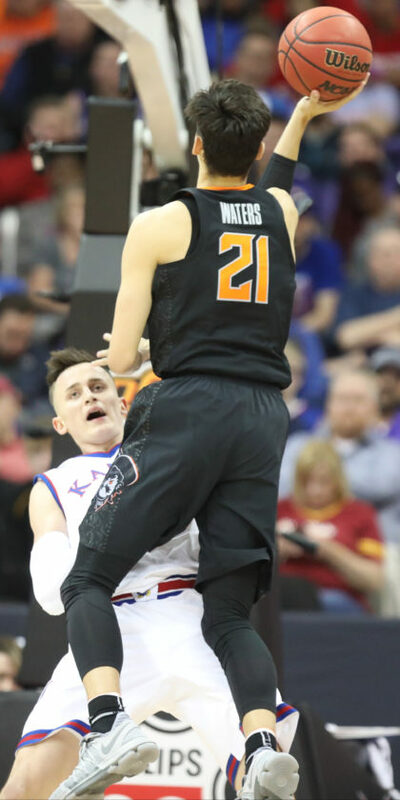 Kansas forward Mitch Lightfoot (44) takes a charge from Oklahoma State guard Lindy Waters III (21) during the second half, Thursday, March 8, 2018 at Sprint Center in Kansas City, Mo. 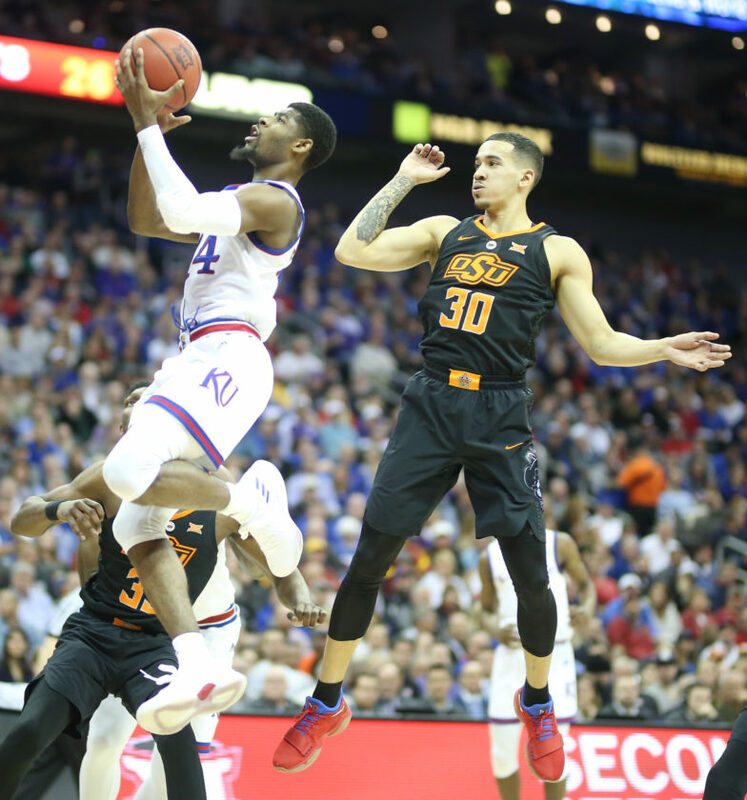 Kansas guard Malik Newman (14) gets to the bucket past Oklahoma State guard Jeffrey Carroll (30) during the first half, Thursday, March 8, 2018 at Sprint Center in Kansas City, Mo. 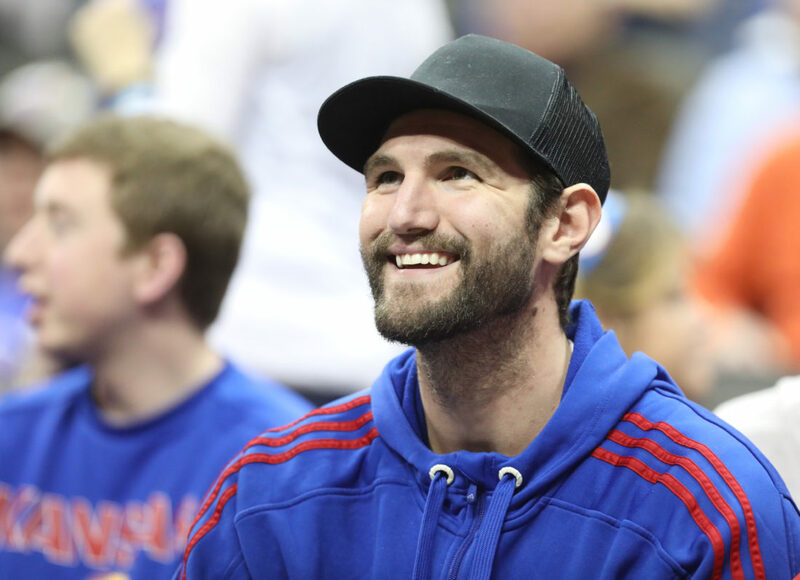 Former Kansas center Jeff Withey watches from behind the bench during the second half, Thursday, March 8, 2018 at Sprint Center in Kansas City, Mo. 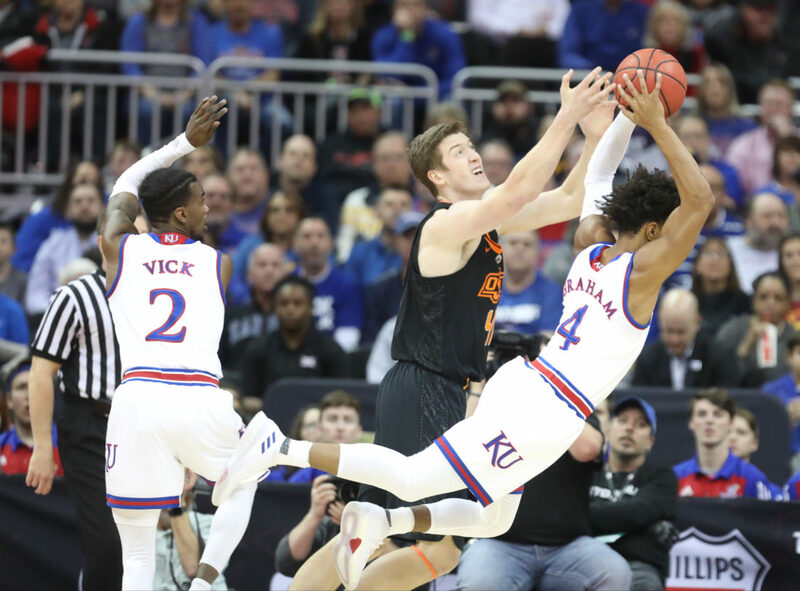 Kansas guard Devonte' Graham (4) yanks a rebound away from Oklahoma State forward Mitchell Solomon (41) during the first half, Thursday, March 8, 2018 at Sprint Center in Kansas City, Mo. 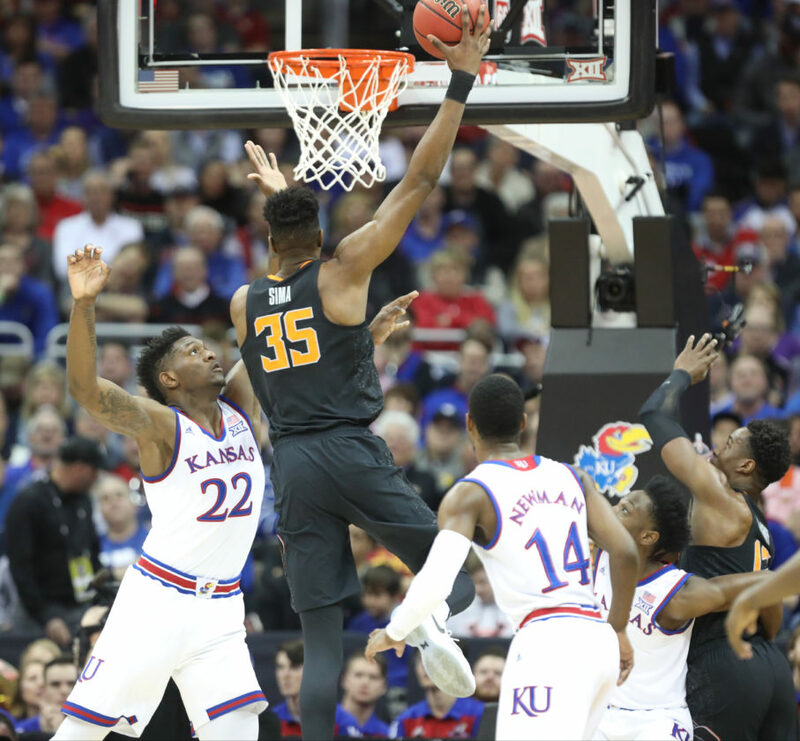 Oklahoma State forward Yankuba Sima (35) puts a shot over Kansas forward Silvio De Sousa (22) during the first half, Thursday, March 8, 2018 at Sprint Center in Kansas City, Mo. 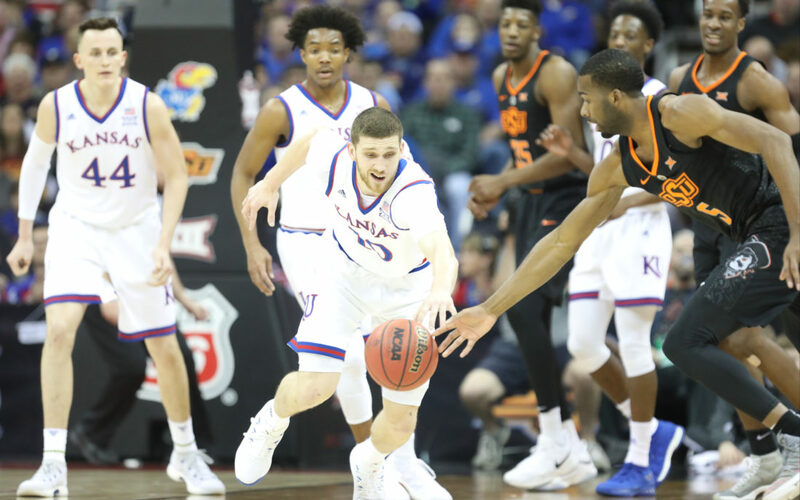 Kansas guard Sviatoslav Mykhailiuk (10) picks off a pass to Oklahoma State guard Tavarius Shine (5) during the first half, Thursday, March 8, 2018 at Sprint Center in Kansas City, Mo. 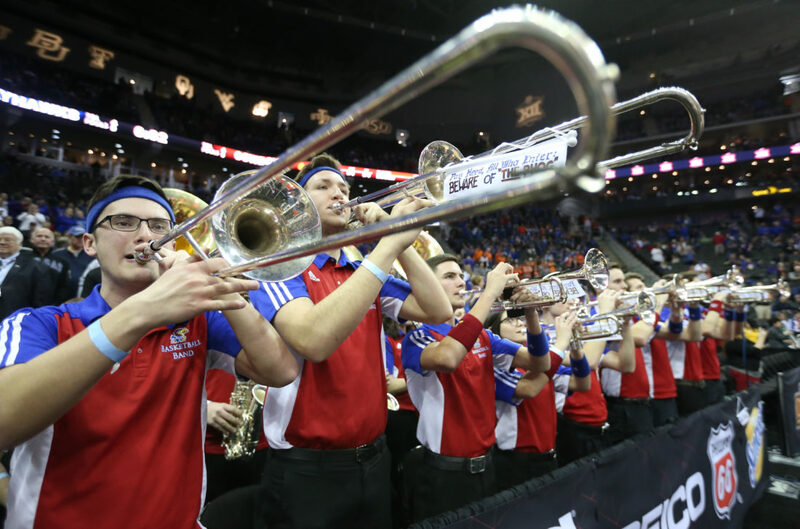 University of Kansas trombonist Alex Dyess performs with the KU basketball band on Thursday, March 8, 2018 at Sprint Center in Kansas City, Mo. 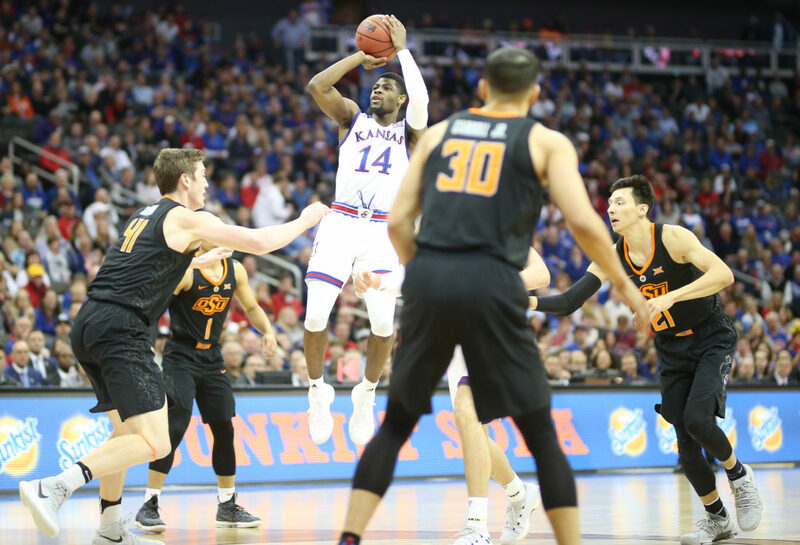 Kansas guard Malik Newman (14) pulls up for a three between several Oklahoma State players during the first half, Thursday, March 8, 2018 at Sprint Center in Kansas City, Mo. 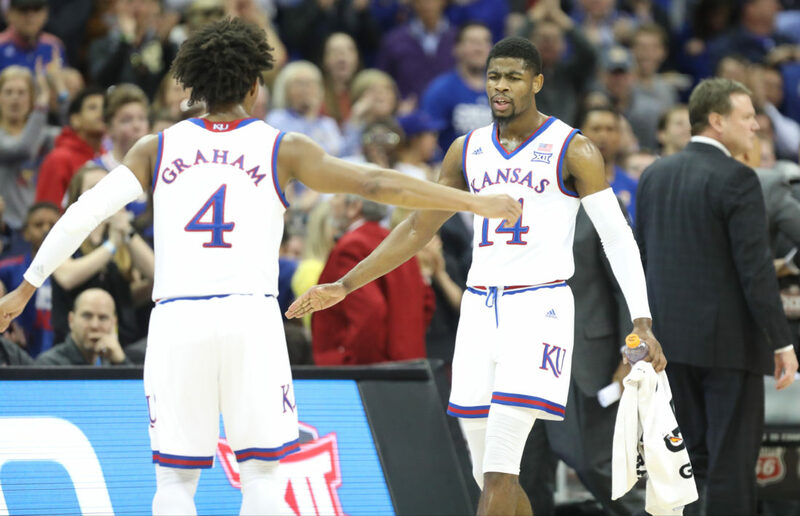 Kansas guard Devonte' Graham (4) and Kansas guard Malik Newman (14) slap hands during a KU run in the first half, Thursday, March 8, 2018 at Sprint Center in Kansas City, Mo. 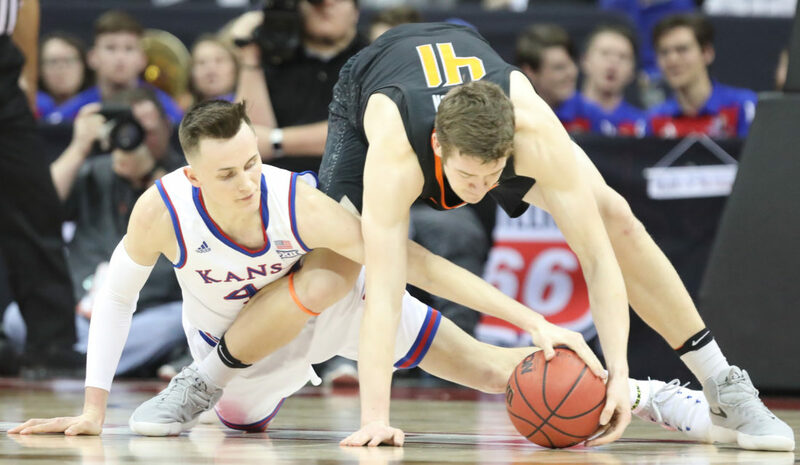 Kansas forward Mitch Lightfoot (44) tries to strip a ball from Oklahoma State forward Mitchell Solomon (41) during the first half, Thursday, March 8, 2018 at Sprint Center in Kansas City, Mo. 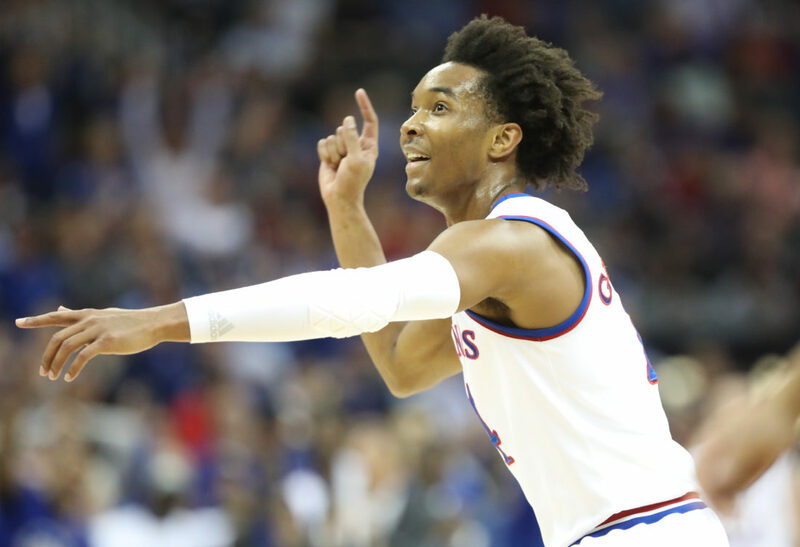 Kansas guard Devonte' Graham (4) looks for a shot to fall during the first half, Thursday, March 8, 2018 at Sprint Center in Kansas City, Mo. 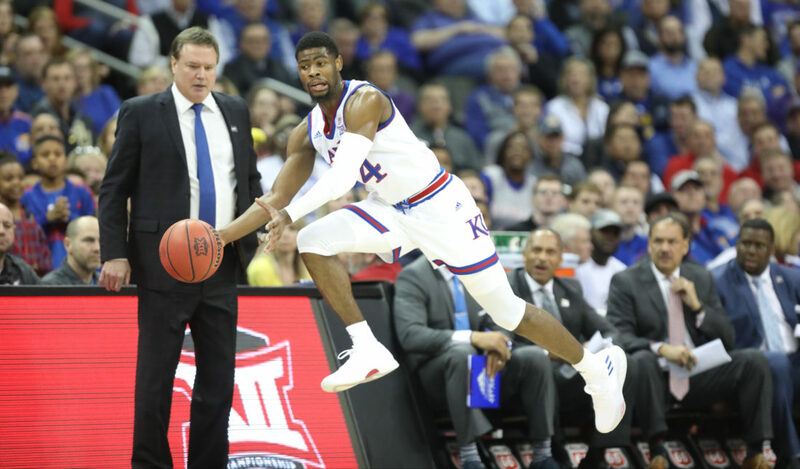 Kansas guard Malik Newman (14) tries but can't save a ball from slipping out of bounds before Kansas head coach Bill Self during the first half, Thursday, March 8, 2018 at Sprint Center in Kansas City, Mo. 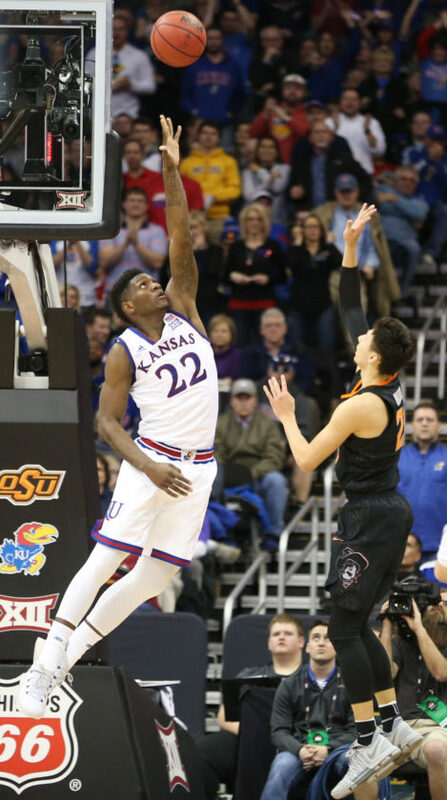 Kansas forward Silvio De Sousa (22) gets high to defend against a shot from Oklahoma State guard Lindy Waters III (21) during the second half, Thursday, March 8, 2018 at Sprint Center in Kansas City, Mo. 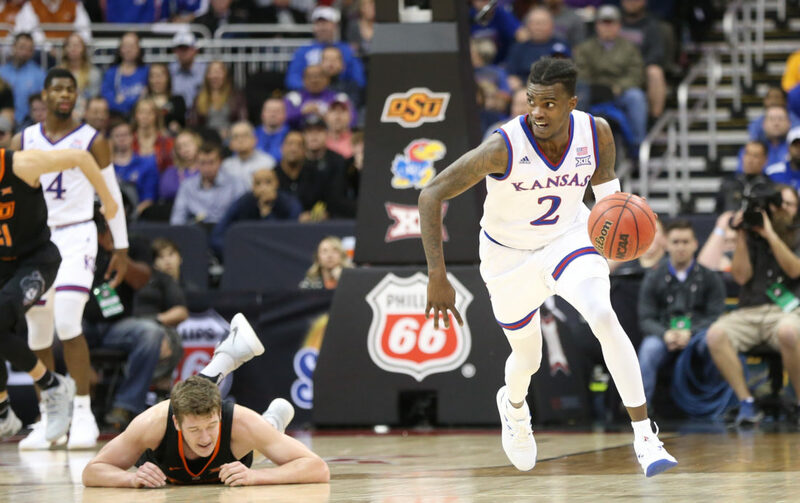 Kansas guard Lagerald Vick (2) takes off up the court leaving Oklahoma State forward Mitchell Solomon (41) n the floor during the second half, Thursday, March 8, 2018 at Sprint Center in Kansas City, Mo. 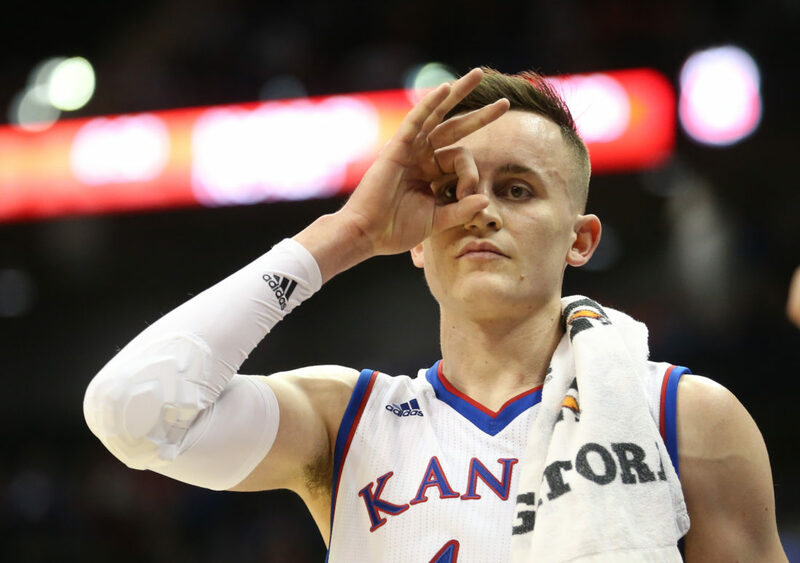 Kansas forward Mitch Lightfoot (44) signals a three after a KU three-pointer during the second half, Thursday, March 8, 2018 at Sprint Center in Kansas City, Mo. 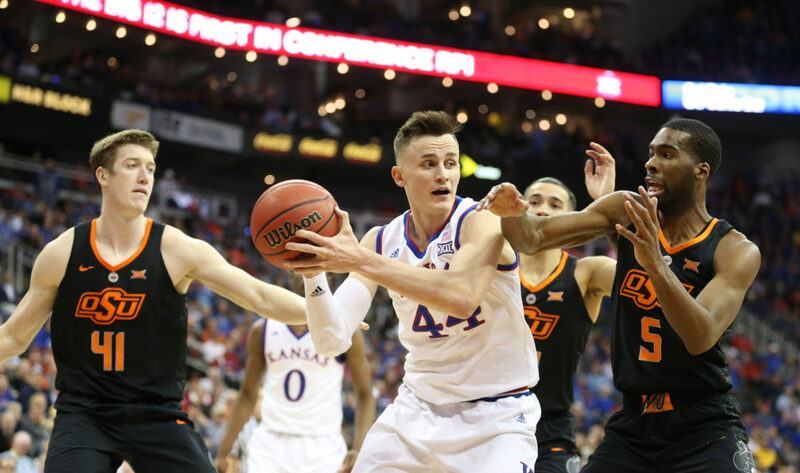 Kansas forward Mitch Lightfoot (44) looks for an outlet as he is pressured by Oklahoma State guard Tavarius Shine (5) during the second half, Thursday, March 8, 2018 at Sprint Center in Kansas City, Mo. 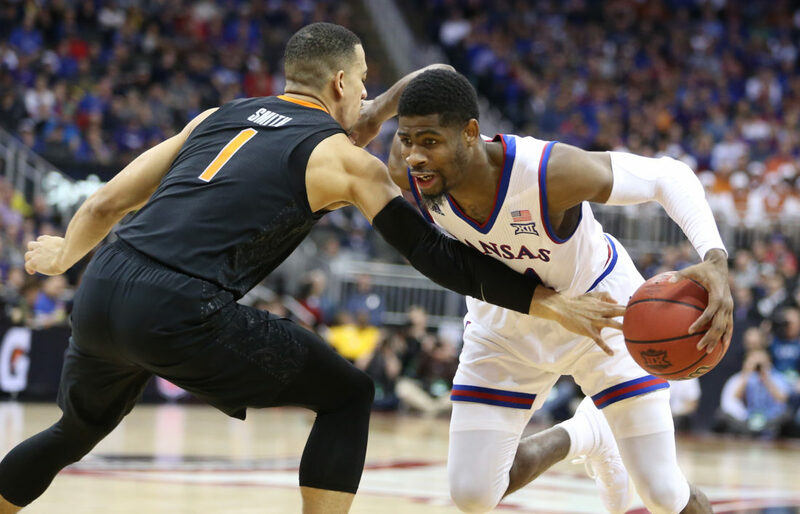 Kansas guard Malik Newman (14) tries to get around Oklahoma State guard Kendall Smith (1) during the second half, Thursday, March 8, 2018 at Sprint Center in Kansas City, Mo. 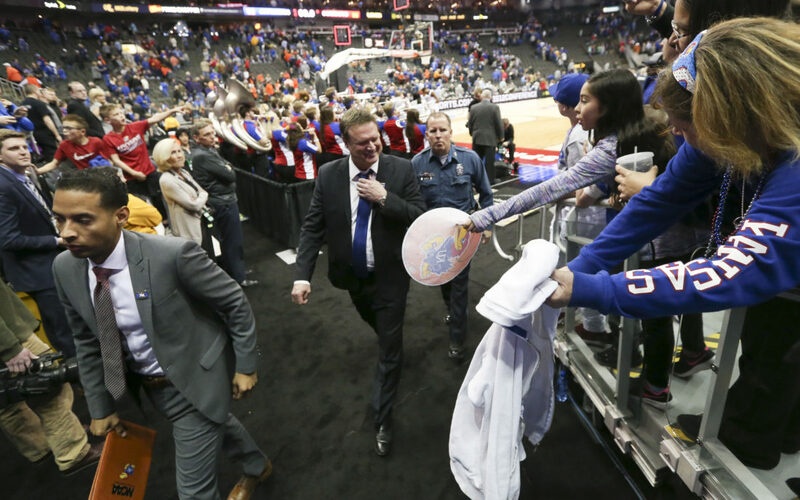 Kansas head coach Bill Self loosens his tie as he makes his way from the court following the Jayhawks' 82-68 win over Oklahoma State, Thursday, March 8, 2018 at Sprint Center in Kansas City, Mo.